Bigg Boss Weekend Ka Vaar episodes get us one step closer to the finale because most weekends someone gets evicted. Contestants have completed 13 weeks in the house and for the first time in three months, they got a chance to meet their family members. The family week was one of the sweetest things that the makers of Bigg Boss could've done for the inmates. We saw many contestants tear up on seeing their loved ones after such a long gap and some family members' statements created controversies in the house. 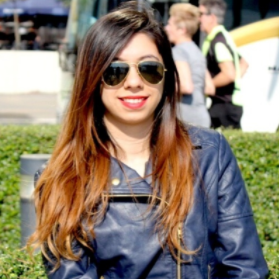 Somi's sister Saba Khan came back to the house and told Somi and Romil how their bond was being misconstrued by the viewers. This caused a rift in their friendship. In case you missed who entered the house and who got evicted during the Weekend Ka Vaar episode, we have the highlights for you. Read on to find out! Weekend Ka Vaar episode started with Salman inviting Swara Bhasker and Sumeet Vyas on stage. The duo had come to promote their web series. Post-interaction with Salman onstage, they entered the house and conducted a fun activity with the housemates. They asked the contestants to apply mud on that contestant's face who has accused them of some wrongdoing. Right after Swara and Sumeet left the house, Surbhi yelled at Romil for applying mud on her face for the time she had accused him of staring at him. Surbhi told Romil that he loves to make a mountain out of molehills. She also fought with Deepak when he confronted her for applying mud on his face. Later, she started crying for being a soft target by everyone in the house. Salman schooled Romil for sleeping too much in the house. He mocked pulled Romil's leg by saying that Romil won't be able to come on stage in case he reaches the finals because he'll be busy sleeping. He also slammed Deepak and Rohit for doing the same. The contestants couldn't believe their luck when Salman announced that Shah Rukh Khan will enter the Bigg Boss house soon. They all got super excited. SRK made a thunderous entry on the sets of Bigg Boss with a performance on Issaqbaazi from his upcoming film Zero. Salman also joined him on the stage. The two had some crazy time and SRK interacted with the housemates, leaving them in awe of him. After Salman and the contestants bid adieu to SRK, Salman told the contestants that it was time for elimination. One contestant among Karanvir, Somi, and Rohit had to leave the house. 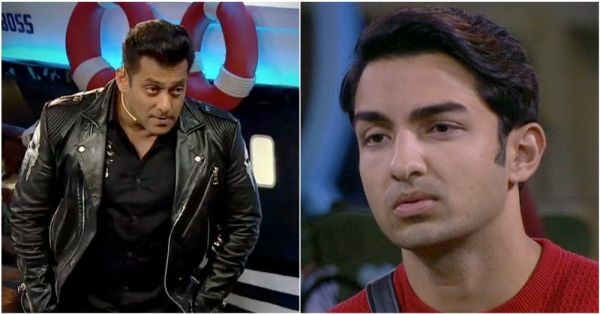 After a long pause, Salman announced that Rohit had been evicted. He hugged all the housemates and left the house.